Meghan E. Kelly is an associate in Nutter’s Corporate and Transactions Department and a member of the firm’s Emerging Companies practice group. Clients rely on Meghan on a wide range of matters, including venture capital and angel financing transactions, mergers and acquisitions, commercial finance, and corporate governance. As a member of the Emerging Companies Practice Group, Meghan assists early stage clients from planning and formation, to realizing the business goals needed to secure third party investment, to achieving a successful exit. Meghan works with clients in a broad range of industries, including food & beverage, life sciences, consumer/retail, and biotechnology. She also has experience representing lenders in mortgage warehouse facilities. 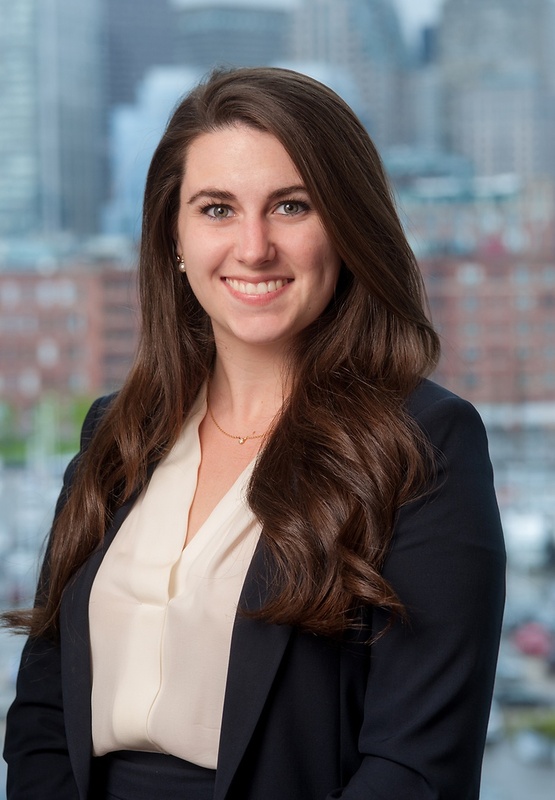 Meghan is active in the Boston community, serving on the Greater Boston Chamber of Commerce’s City Awake Leadership Council, as a mentor for Boston University School of Law students, and as a member of the Women’s Bar Association. She gained previous legal experience serving as an intern at the Office of the Attorney General in Augusta, Maine and working as a pro bono intern at Pine Tree Legal Assistance. During law school, Meghan was a note development editor for the Boston University Law Review and president of the Student Government Association. She was an advisor for the 1L Student Advising Program, a welcomer for the BU Law Orientation, a Legal Writing Fellow, and chair of the Alumni Committee of the Women’s Law Association. Upon graduating, Meghan received the Sylvia Beinecke Robinson Award for her significant contribution to the life of the School of Law. Prior to law school, Meghan worked as a legal intern for the Royal Agricultural Society of New South Wales in Sydney, Australia. Nutter represented Powerhouse Dynamics, a software company based in Newton, MA, when it was acquired by merger by Middleby Corporation, a publicly traded commercial and residential cooking and industrial process equipment company based in Elgin, IL. Powerhouse Dynamics uses cloud-based controls and analytics to deliver enterprise-wide operational efficiency, food safety, and energy efficiency solutions to portfolios of small commercial facilities, including restaurants, convenience stores, retailers, and more. Nutter represented Collaborative Consulting, LLC in its acquisition by CGI Group Inc. (NYSE: GIB) (TSX: GIB.A), a leading provider of information technology and business processing services, through its wholly-owned U.S. subsidiary, CGI Technologies and Solutions Inc.
Nutter advised Admune Therapeutics LLC in its sale to Novartis Institutes for BioMedical Research. Meghan was a note development editor for the Boston University Law Review and president of the Student Government Association. She was an advisor for the 1L Student Advising Program, a welcomer for the BU Law Orientation, a Legal Writing Fellow, and chair of the Alumni Committee of the Women’s Law Association. Upon graduating law school, Meghan received the Sylvia Beinecke Robinson Award for her significant contribution to the life of the School of Law.